Crafting for Camp is a way that artists from all over the world can collectively pool their talent and resources to make it possible for at-risk kids and teens in Sweetwaters, South Africa, to go to camp. Kids and teens in Sweetwaters South Africa are facing major challenges in their lives: More than half of the young adults are HIV+, most children don’t live with their parents, less than half of the adults have graduated from high school.These kids are living in a world where the odds are stacked against them from the start. iThemba Projects mentors focus on breaking the cycles that generate these social problems through mentoring and education. Camp is a huge opportunity for our mentors to influence these kids! Crafting for Camp is a partnership between iThemba Hope Trust, Restoration Hope , iThemba Denmark and iThemba Projects. We’re all working together to bring hope to these kids and teens in Sweetwaters through mentorship and education. We’ve seen the impact that iThemba camps have on kids from Sweetwaters community, and we want to be a part of it! Like buying hand-made items? By purchasing items from a crafter with the Crafting for Camp badge, you are part of sponsoring kids and teens to go to camp! 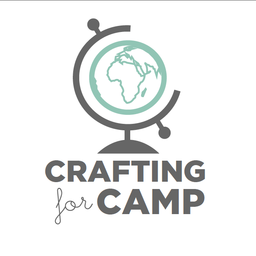 Every crafter who has a Crafting for Camp badge has committed to giving a portion of their profits towards iThemba camps. Check out the individual crafter’s pages to see their policy on how much they give. Like creating hand-made items? Consider joining the “Crafting for Camp” network by donating a portion of your profits (or the entire proceeds from one specific item) from your site to send kids to camp! Email stephe@ithembaprojects.org.za for more information. You’ll be sent a Crafting for Camp badge, and you can even embed this site directly onto your blog or Etsy site through the widget on the right. We’ll also advertise your product on our social media channels to spread the word and say thanks! Want to give directly to camp? Maybe you just want to donate money directly to send kids to camp-- that’s great, too! You can give by creating a Pure.Charity account and clicking the “give to this fundraiser” button. All of your donation will go directly to sponsoring kids to go to camp!